With a new wave, Killing Joke-esque sense of apocalyptic grandeur and industrialised menace, Ontario’s ooluu induce a trance-like state on new ep, ANTEDILUVIAN. Brandishing tribal beats, sledgehammer bass, combative staccato riffs and a mix of whispers and soaring, shrieking vocals, ooluu deliver an uncompromising and exciting experience on both “Ignominy” and “Perpetuities”. Mixed by Dave ‘Rave’ Ogilvie (Skinny Puppy, Marilyn Manson, Nine Inch Nails etc) this freshly ferocious and socially conscious EP is a clinically-effective, street-cleaning, gutter-sweeping, establishment-swiping blast of considered – and at times progressive – riffing and any and all lovers of industrial rock/metal should appreciate the sonic tapestry woven here. With industrial noise clashing with an almost post-punk aesthetic, ooluu sound like they should be walking the dirt streets of London (with Godflesh and Jaz Coleman’s boys in tow) as opposed to occupying Canada’s capital. But, with the world in such a state of turmoil, geographical location means little nowadays and ooluu have fashioned a 2-track ep which clearly states that, as a species, we need to start again. 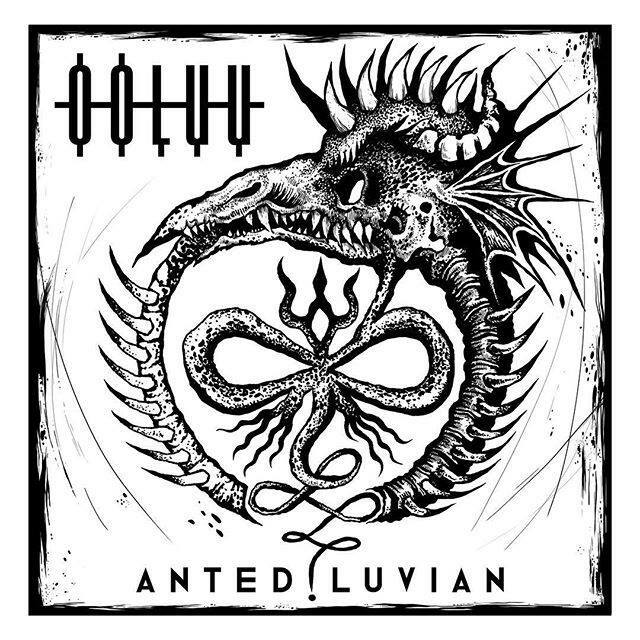 ANTEDILUVIAN was released on March 23, 2018. Head over to bandcamp and pick up a copy! Do you dare dance with the devil? Paris opens its doors to Rammstein's muscle and might! An electric performance from a true icon!